1) Fear the Cats and Dawgs of the Northwest – Washington’s impressive 31-14 win over heavily favored Utah in Salt Late City on Saturday, combined with Washington State’s 31-27 win in Boulder shows that football is back to respectability in the Northwest. Washington’s lone loss this year was against a very talented Nebraska team (sans the blowout this week against Wisconsin in Camp Randall who appear to be the Big-10 front-runners) in Lincoln with a quarterback hobbling on one leg. 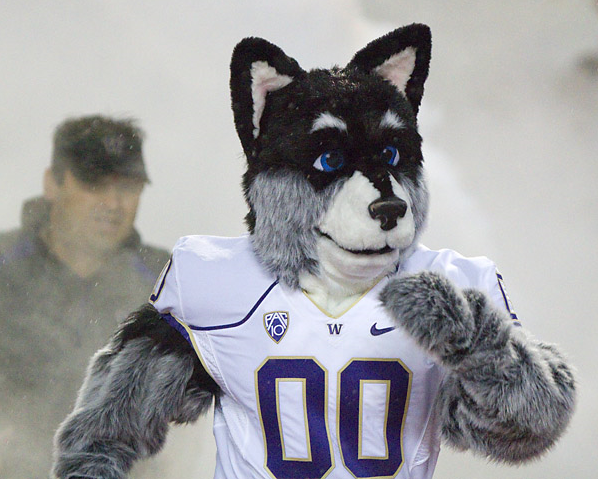 The Huskies managed to stay competitive despite the refs awarding the Cornhuskers a controversial touchdown in the third quarter which swung the momentum of the game. The Cougars on the other hand, have remained very potent on offense even without quarterback Jeff Tuel. If it wasn’t for a couple of bone-headed special team’s plays against San Diego State, Wazzou might be 2 wins from bowl eligibility already. Washington and Washington State have come very far from the much maligned 2008 Apple Cup which featured a 0-10 Washington team playing a 1-10 Washington State team. 2) The North trumps the South – If it wasn’t for Oregon State, the Pac-12 South wouldn’t have any wins against its brothers from the North. The North Division currently holds two AP top-10 teams along with the fact every North Division team aside from the Beavers, has scored an away victory against a team from the South. It’s not surprising that Oregon and Stanford have won, but the fact that California, Washington, and Washington State have scored road victories against the newcomers of the Pac-12 probably should weigh into the conference’s strength despite it’s mediocre out-of-conference showing this year. Keep in mind Utah’s 2009 Sugar Bowl is still fresh in people’s heads and Colorado and scored a couple of impressive victories over Oklahoma over the past 5 years. In summary, more than likely the inaugural Pac-12 Championship Game will be held in Eugene or Palo Alto, though some folks in Seattle might have a say otherwise. 3) It will be an exciting race to the finish – The potential imbalance in conference power this year may lead to an exciting but potentially controversial determination in the division winners this year. In the North, it’ll likely take an 8-1 team to be able to win the division. Luckily the division tie-breaker works like this and should avoid any outbreak or rage the Big-12 South had to deal with in 2008. Hopefully, the potential “unfairness” without round-robin scheduling will be avoided for at least this year. Because of the potential imbalance of power, any “misses” for the North won’t be as substantial if the South was stronger outside of Arizona State and USC. Stanford does dodge ASU this year so that is one element to keep in mind of Sparky is able to upset a potential Pac-12 North contender. Categories: Pac-12 Overview | Permalink. Good recap of the early season…the Pac-12 is going to be wild this season. I’ll be shocked if anyone runs the table in conference play.